Size does matter, but so does price, making this the perfect deal. — Our editors review and recommend products to help you buy the stuff you need. If you make a purchase by clicking one of our links, we may earn a small share of the revenue. However, our picks and opinions are independent from USA Today’s newsroom and any business incentives. Have you dreamed of the day when you could buy a giant TV that didn't cost a month's salary? That day may just be here. We managed to finagle an exclusive deal with Massdrop to get you a crazy 50% discount on one of the top-of-the-line TVs in the biggest size they offer. 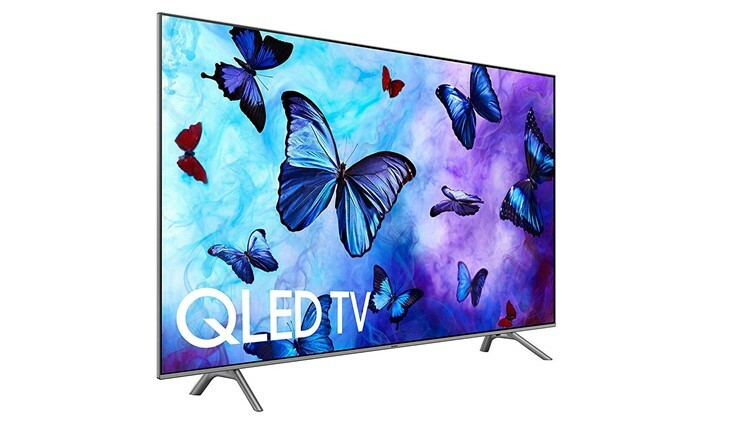 The Samsung QN82Q6FN QLED Smart 4K TV typically retails for $5,000. If you get one through this Massdrop sale, you'll only pay $2,500—literally half the regular price. We've never seen such an incredible offer on such an impressive TV. Take the LG C8, our favorite TV of 2018, for instance. We've got an exclusive Massdrop deal on the 77-inch version of the C8 as well. It's on sale for $4,950, a whopping $2,000 less than usual. This is a staggering price for the TV that convinced our TV reviewer Lee Neikirk no other viewing experience could compare, but it's also twice what you'd pay if you opted for this QLED. Decisions, decisions. Lee actually rated the Samsung Q9 TV the second best TV of the year. The Q6 series is, essentially, a scaled-down version of the Q9 lineup in terms of extra features and capabilities. It even has Ambient Mode that displays stunning images when you're not using the TV so it basically doubles as a giant art installation too. But at the end of the day, you can get a super impressive 82-inch TV for $1,000 less than what it costs on Amazon, and half the sale price of the massive 77-inch LG C8. Editor's note: This deal is good through Sunday, Dec. 11, but note that Massdrop's shipping takes longer than usual and won't actually ship until Jan 3. This is because they wait until the drop is ended to get the TVs at the discounted rate (which is how they pass the savings to you!). The product experts at Reviewed have all your shopping needs covered this holiday season. Follow Reviewed on Facebook, Twitter, and Instagram. Prices are accurate at the time this article was published, but may change over time.